We had 3 nights unplanned before heading to Vegas for Shelly’s big birthday weekend. We decided on Lake Mead RV Village at Boulder Beach for some relaxation. This was a place we stayed last year during our trial trip, so we knew it would be spectacular. The sites are facing the lake with the red-orange hills behind, making the view look like a painting especially at sunset! The drive from Camp Verde took about 6 hours, so when we arrived we got set up and enjoyed the sunset and a nice evening cooking and relaxing in the MoHo. 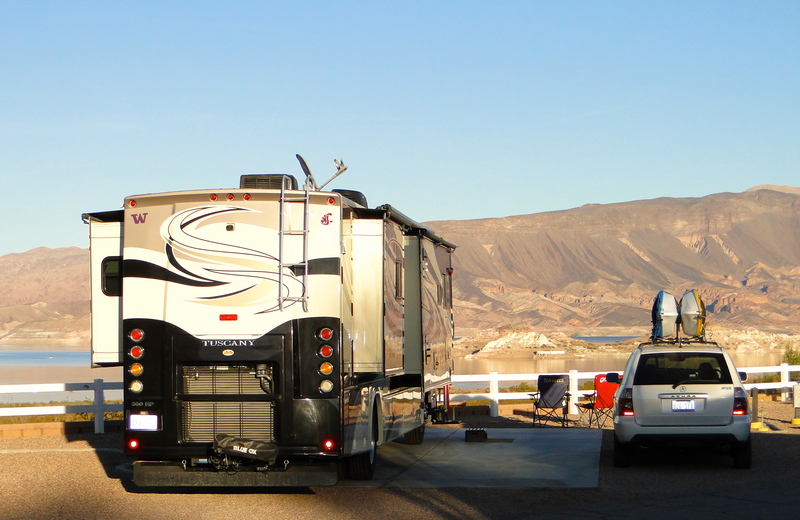 Our site at Lake Mead – love this view! The next morning, we took the kayaks down to the lake and tooled around for a few hours exploring. The fish were literally jumping all around us. This is a very clean, clear lake so we could see down to the bottom in places near the shore. It was about 75 out, so perfect for kayaking. Back to the MoHo for an early dinner then we headed up to the local casino. It was completely dead and no tables open. We each dropped about 20 bucks in slots and decided to just head back for a good night’s sleep. 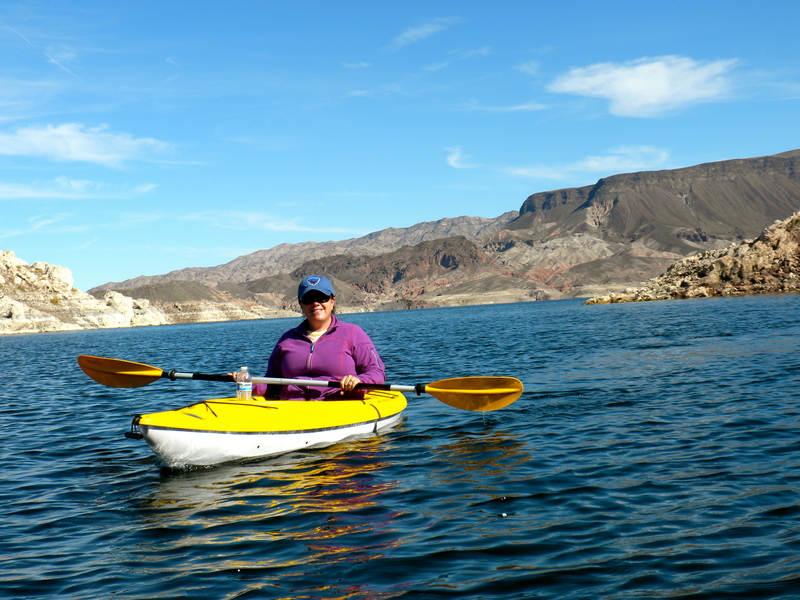 Thursday, we drove through the Lake Mead recreation area and ended up at Lake Las Vegas. This place just popped up out of nowhere with mansions, condos and high end looking hotels. I’m curious if this area is surviving, as it seemed pretty deserted. We continued our drive and looped around through Henderson and back to our campsite. We decided to have an outdoor fire and Mike cooked up steaks right on the grates. We enjoyed a nice salad and some sautéed veggies and of course a nice bottle of red. Friday, we were off to Vegas, only about a 45-minute drive. The Pflu’s and Lindley’s flew down from Seattle and arrived at 10:30am. The plan was to meet at their hotel, Mandalay Bay. Mike & I rolled into the Oasis RV Park, just 5 minutes from the strip and set up. We then drove the car to Paris where we had a few comp hotel nights. We checked into the room, then made the trek down to Mandalay. On a map, it looks like 2 blocks, but these are Vegas blocks…45 minutes later we arrived. We met them out at “The Beach,” the very cool sandy beach pool. They were actually staying at “The Hotel” which is the all-suite hotel right behind Mandalay Bay, so we headed up to their rooms to get caught up and have a few drinks while they all changed and got ready for the night. The boys hit the sports book to make their football bets for Saturday and we all gambled for a bit before dinner. We found a great Italian place right at Mandalay, which was delicious. We decided to head over to the Luxor for gambling since the table limits were a bit more reasonable. The big winner for the night was Marc Lindley. I put my head on the pillow at 3am and think I outlasted everyone. Needless to say, I slept in, while early riser Mike headed back to Mandalay to meet Marc Pflu to get a table in the sports books for the day of football. Everyone was on their own schedule for the day, but eventually we all ended up together watching football for the afternoon. Shelly & I decided we wanted to look into Garth Brooks tickets. This was his last show of the season and it was sold out, so we got on Craigslist and found a ticket broker with 2 tickets. It was a bit of a splurge but this is one of the best concerts I have ever been to. It was at the Wynn in the Encore Theater, which is a very intimate setting. 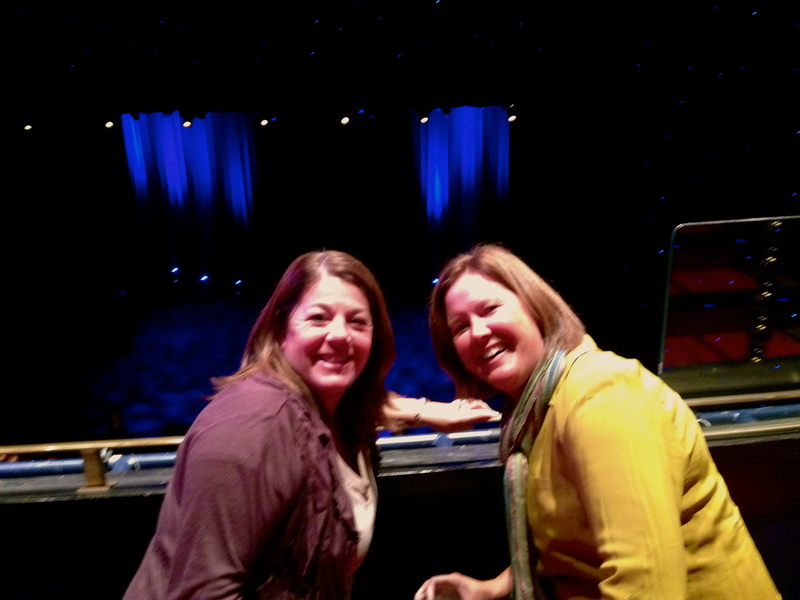 Our tickets were in the first row of the Mezzanine level and it felt like we were almost on top of the stage. It was just Garth in jeans, a grey hoodie, baseball hat and his guitar. He was very conversational with the audience and basically took us through his lifetime of growing up through the 60s, 70s and 80s and which music influenced his own music. He played snippets of songs, and then played one of his songs that was influenced by that particular song or artist. Very cool and showed off his talent and he was funny too! His wife, Trisha Yearwood, came out at one point and they bantered and sang a few songs together. At the end, he of course did an encore and played my favorite, “The Dance” and the ultimate crowd pleaser, “Friends in Low Places.” I loved that before he sang the Dance, he said, “This is MY favorite Garth Brooks song.” We were soooooo glad we splurged and went, because most likely we would have lost the same amount of money at a table and not had this very cool experience. We headed back to Mandalay to meet the group. In bed a bit earlier tonight – 1am. Seahawks Sunday! The game was at 10am, so we all had to get rolling early. Mike and I checked out of Paris and drove down to Mandalay. We all had our gear on and ended up in a bar with some other Hawks fans. Bloody Mary’s and Beer and a great victory! Mike & Marc even won some money on the game. Mike & I drove the car back to the RV Park and got dressed for Shelly’s b-day dinner. We met the group back at Mandalay at the vodka bar, Red Square. Then we had a limo take us to Bellagio (about the same cost for two cabs and much more fun!). 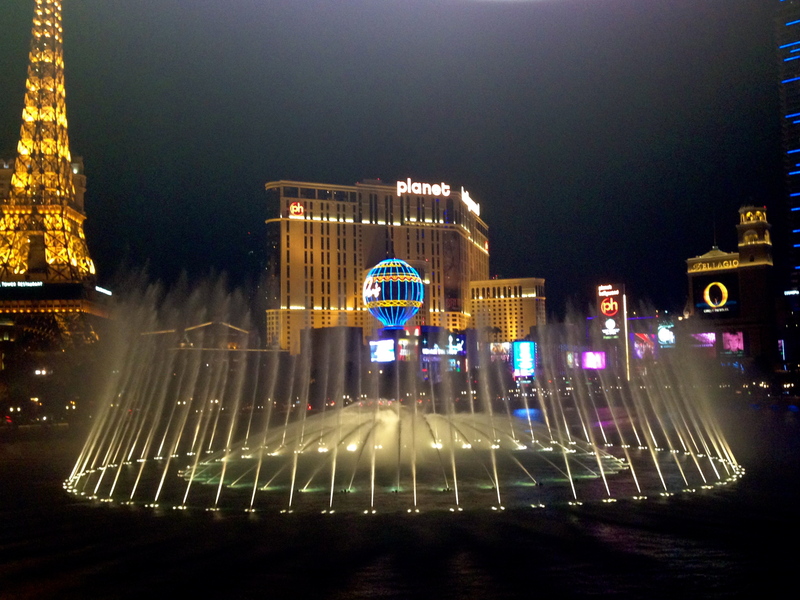 Marc L’s friend got us a reservation at Yellowtail with a table on the balcony overlooking the fountains. This place was amazing and probably one of the best views in Vegas! The restaurant was Japanese with a lot of fish and seafood, which is not typically what I would choose. It was family style where they brought out dish after dish and we all got a little sampling. I ate Ahi, duck, lobster, crab, sea bass, shrimp (also beef and pork). Very proud of myself for being so adventurous. For those of you who know me, this is way outside my comfort level. But, I said I would try everything and it was all delicious with great flavor and excellent presentation! The desserts were tasty too! This was the most expensive dinner I have ever had, but so worth it for the food, atmosphere, service and of course exceptional company! We all continued our evening across the street at Bally’s. At around midnight, Mike & I said our goodbyes and took a cab back to the RV Park. We both slept in and it was great to be back in the MoHo. The others flew back to Seattle, but Mike and I had a few more days here. It was nice to be back in the comforts of “home” that’s for sure. We were very lazy in the morning, but decided in the afternoon to drive downtown to the Fremont area. We drove by the pawn shop from Pawn Stars and opted not to go in. We parked near Binions and had a famous Binions burger and walked Fremont Street. I had never been here before and it was a pretty cool experience. A completely different vibe from the strip; kind of reminded us of Reno. 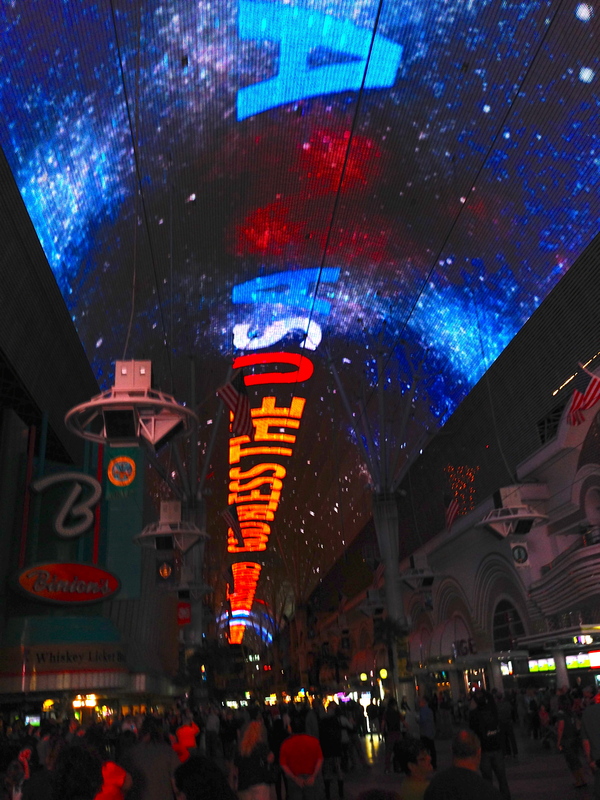 It was Veteran’s Day so the light show they had going on the ceiling was patriotic themed. There were a lot of people out which made the atmosphere pretty lively and fun. We drove back to the MoHo and were both in bed by 10. Last day in Vegas. The RV Park had a mobile washing service, so we decided on a much needed wash and wax! What a difference when professionals with the right equipment do it. We have tried to wash on our own a few times and it just hasn’t turned out very good. Mike washes the front windshield often, but doing the entire 40-foot beast is a much bigger task. We ran some errands, grocery shopped and did laundry. Decided to head out for our last night in town. Jeff Brauns recommended the M Resort (He was also here for the weekend, but we never had the chance to meet up.) This place was only about 5 miles from our RV Park so we thought we would check it out. We had a great happy hour dinner. Mike had caprese salad and shrimp cocktail and I had French onion soup and a chopped salad. The casino was absolutely dead but we sat down at a Pai Gow table and treaded water for awhile. I think the weekend finally caught up with us, as we were both exhausted so decided to call it a night. I got some Pistachio gelato on the way out and we hit the sack early. All in all Vegas was a great trip even though we donated a bit to the cause. It was nice to do some new and different things this trip. Garth Brooks and Yellowtail were definitely the highlights for me. Not to mention hanging out with good friends which we always love after being on the road just the two of us. 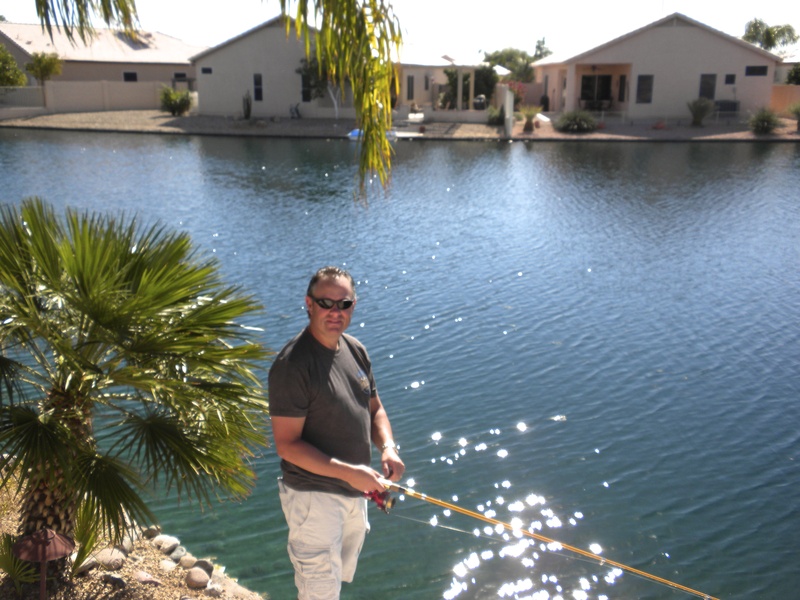 Next stop is Lake Havasu, AZ for a few nights of chillaxing before we hit Palm Desert, CA for 2 ½ weeks. I can’t believe that Thanksgiving is upon us. So excited to spend time with great friends and family — Cameron’s, Aldrich’s, Pflugrath’s, Bob Gom and my mom and brother! It will be so nice to be settled in one place for that long! This entry was posted in November 2013 and tagged Fremont Street, gambling, Garth Brooks, Kayaks, Lake Mead, Mandalay Bay, Vegas, Yellowtail Restaurant Bellagio on November 13, 2013 by Traci. Hello all, sorry for the lack of posting, we have been all over the place and just got behind on our duties. 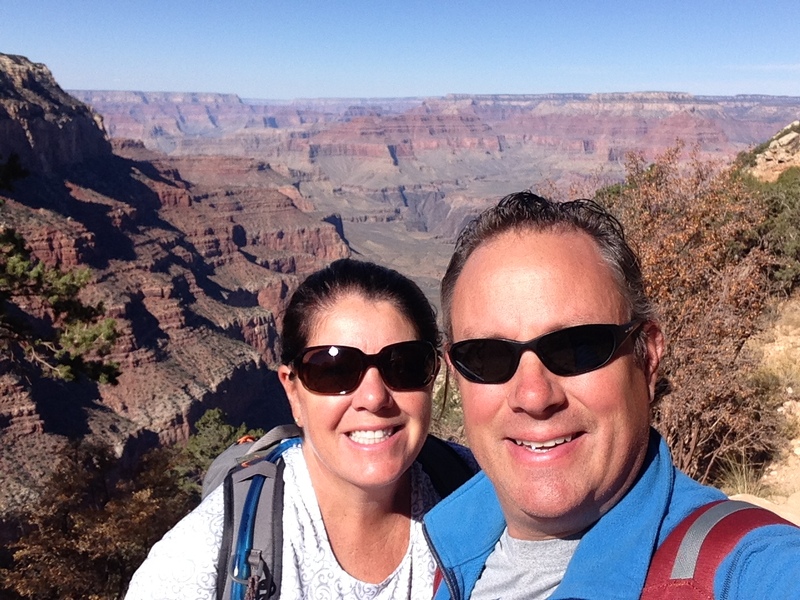 We left the Phoenix area and headed north about 100 miles to a place called Camp Verde. A small little town on Hwy. 17, that is not visible from said highway, but has a really nice park, the Distant Drums RV Park, right across the street from their casino. 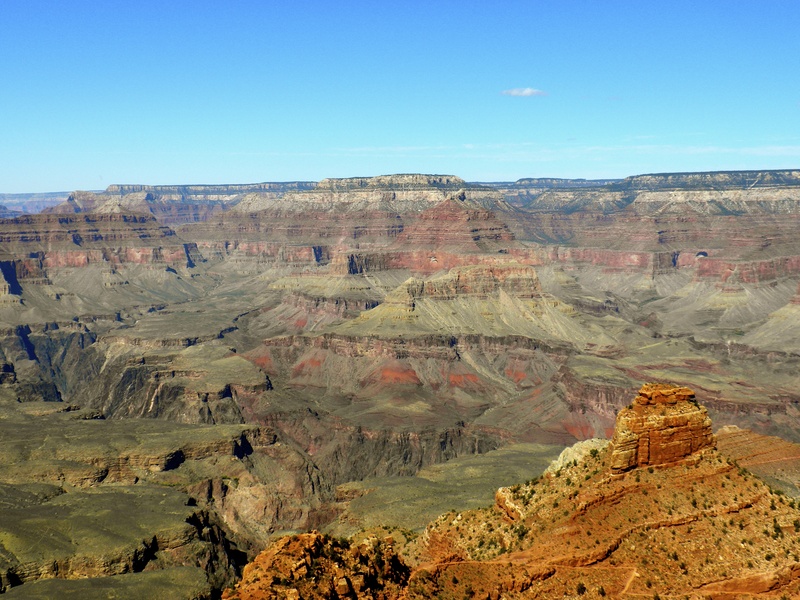 We picked this area as it was close to the Grand Canyon, and we did not want to take the MoHo up there with the cold temps at night below 25 degrees! We arrived on a Friday, nice weather and we got set up for our stay – anticipating about 12 days here. 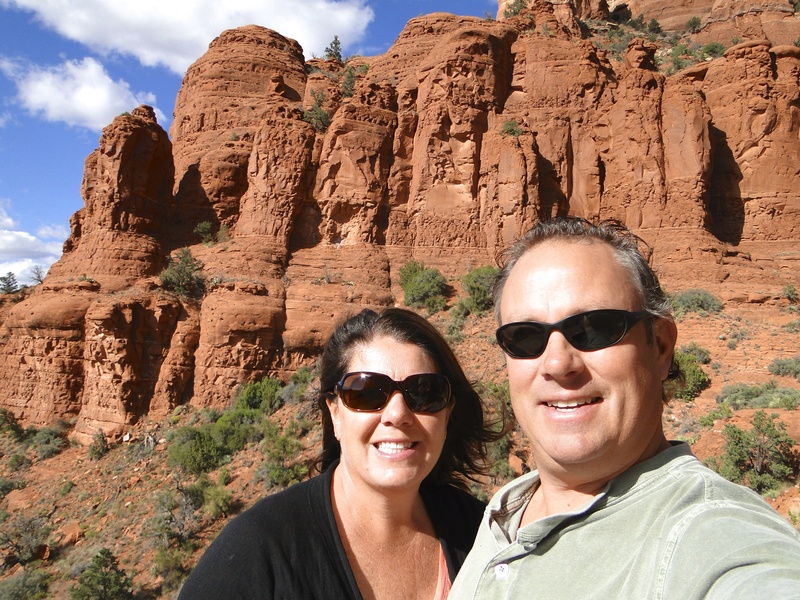 Saturday we headed into Sedona, only about 30 minutes away. If you have not been there, get there! This place is truly amazing, the colors are difficult to capture with a camera, and the landscaping is spectacular. We went through town to try a hike 30 minutes north in the Oak Creek Canyon, but the parking area was packed and there was no way to get in. We returned to town, drove around a bit and found a nice place for a late lunch/early dinner. A Mexican restaurant, I had to see the Tequila list. 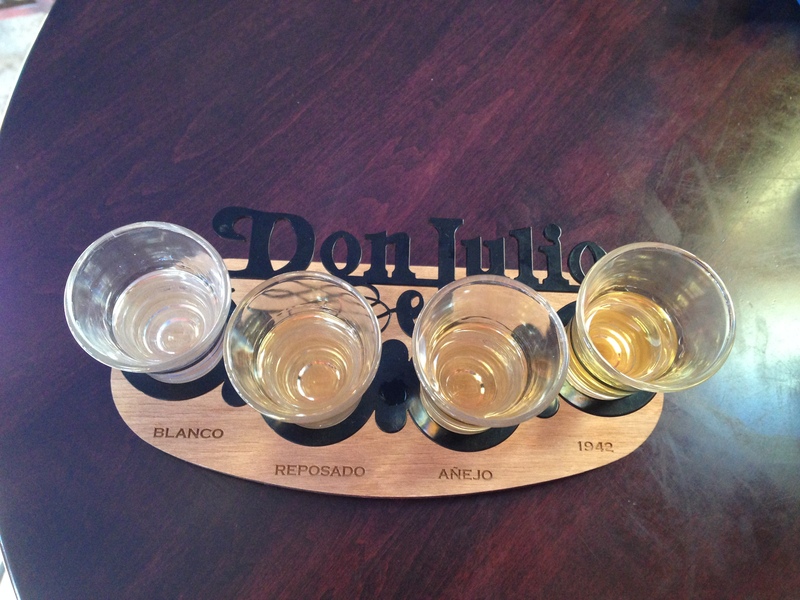 There it was…a sampling of 4 Don Julio Tequila’s, Blanco, Reposado, Anejo, and the one I have wanted to try, 1942. The wait was well worth it, the 1942 was so smooth and buttery, I was really surprised how much different it was, so glad I did the tasting. We took a few more photos and headed home for the night. Monday turned out as forecasted, high winds and cool, so we were glad we chose to go back to the MoHo. 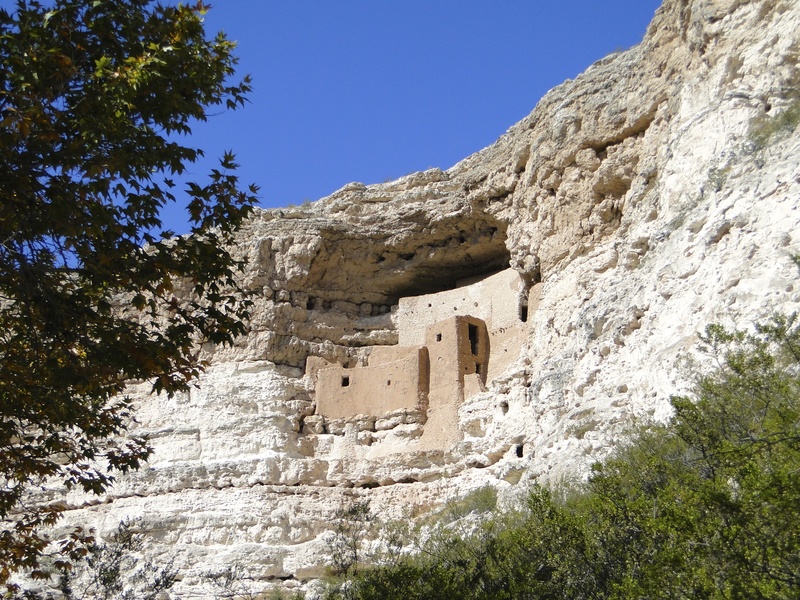 We decided to explore the Camp Verde area, and headed to Montezuma’s Castle, a Native American cliff ruin just across the highway from us. (Thanks Charlotte for the recommendation.) This is one of those places you only see on Nat Geo, mud walls and old timbers holding onto a wall, and some 700 years old. It baffles me how they could find a location and then have the engineering skills to pull it off and make it habitable, but also so long lasting, truly skilled beyond their time. We then headed into Camp Verde town and did a few errands, including paying the NAPA auto guy $12 cash to replace an overly corroded battery terminal on the MDX. What a bargain – this would never happen in a big city! Home that night for dinner and relaxing. Tuesday we headed to Cottonwood, about 30 minutes NE. As we entered town, it had all the stuff of a small city, the big box stores, grocery’s, etc. When we got to the west side and old town, it had a small little quaint street and all antique shops and tourist stuff. We walked the street and checked out all the neat stuff; one place had 2 acres of antiques. We came back late that afternoon and headed over to the casino across the way. A small place, quiet and clean, but not a lot going on so we headed back home to the MoHo soon thereafter and chilled. 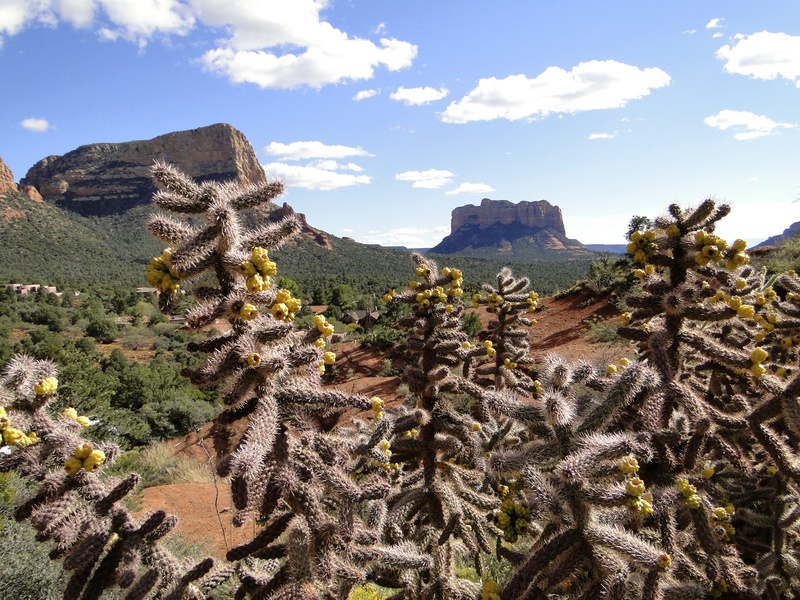 Wednesday the weather got better, so we headed back to Sedona. Our first stop was the church on the hill, Chapel of the Holy Cross. Somehow the engineers of the church were able to carve a building right into the hillside, how I do not know. It overlooks the area with a very beautiful view all around, a neat place that is open to the public and very worth the stop. Next, we had wanted to walk the Tlaquepaque market area. We parked in the square and wandered the shops and galleries. I could have dropped some serious cash here, some of these artists are very talented and their prices reflected it. (My mom would have needed a trailer to haul her purchases home if she had ever had a chance to go there.) After a couple of hours here, we ended up at the local brewery, what a shocker! Dinner and a beverage and we headed back to the MoHo. Thursday we just relaxed, did nothing. We both packed for the weekend and just felt good to not be on the run. Friday I took Traci to the Phoenix airport for a flight home to Seattle. There was a service for her Uncle Hal who had passed away two weeks prior, and it was important for her to be there. I stayed in Phoenix at our friends the Clines for the weekend. I spent a lot of time fishing on their private lake in their neighborhood. Saturday I went golfing with my former employer Bob and his close friend Gordy. 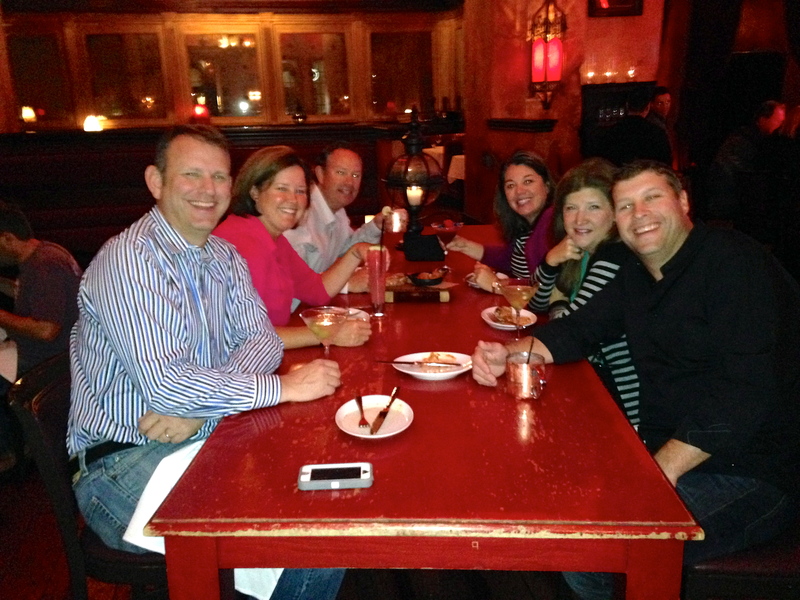 We had a great time, better conversations, and finished the night back at Gordy’s for a few laughs and beverages. Sunday I fished, and watched the Seahawks almost choke again, only to pull it out in OT. (I had two great meals at local wing joint, Hurricane Grill and Wings!) Monday I headed back to the airport to pick up Traci from her weekend at home, and we headed back to Camp Verde where we left the MoHo for the weekend. We returned to the MoHo, and our power was out, again. We had been dealing with it failing a few times the last 10 days or so and were not sure if it was the local box here at the park, or our MoHo. Monday night, we lost power completely, and I could not get it reset. It turns out our plug connector was loose inside, and completely melted the inside of the plug! Glad it was only that, it could have been much worse, affecting much of our electronics. The local ‘RV Medic’ came out and repaired it for us. 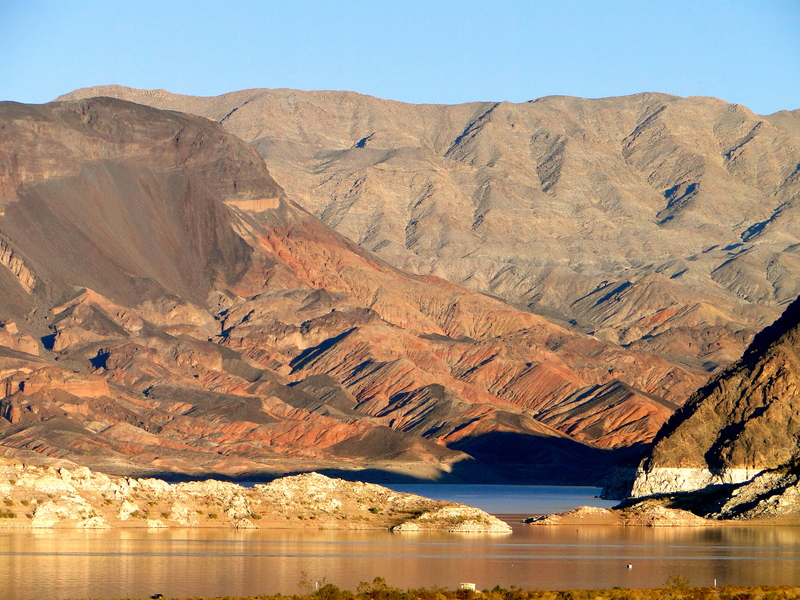 Tuesday we head out towards Lake Mead, and then on to Vegas for the weekend for our friend Shelly’s bday celebration! 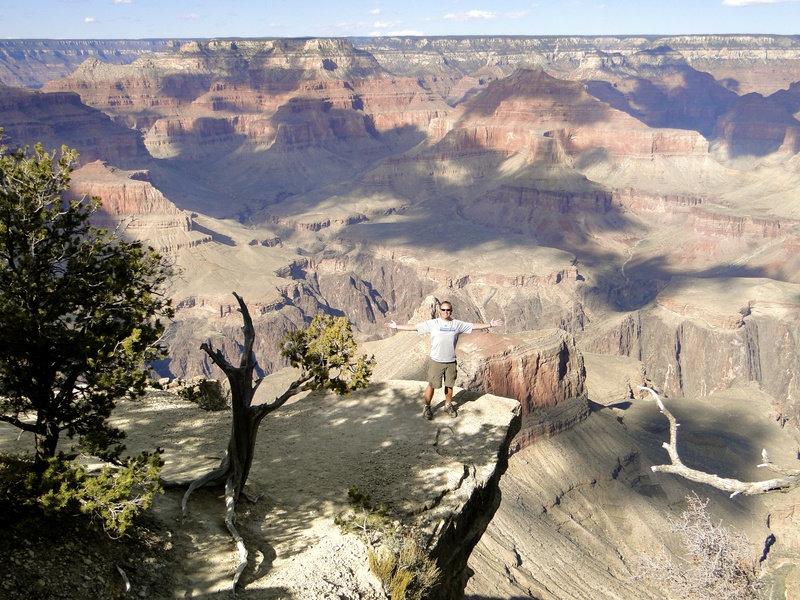 This entry was posted in November 2013 and tagged Camp Verde Arizona, Don Julio Tequila, fishing, Grand Canyon, Sedona Arizona, wings on November 6, 2013 by Mike.